How to warm up the modern interior? The Porsche Design Studio has found a way to this. Using the latest inventions of technology, it has designed bio fire Vertigo, which perfectly fits to the modern, minimalistic spaces. Usually, the fire is associated with the traditional interior – decorated by the wooden furniture, leather sofa or rocking chair. Traditional fire adds gravity and grandness to every space. Fire is just a place where we spend most of time during the long winter nights. It’s just the best place to read books and drink hot chocolate. How match the traditional fire to the modern, minimalistic interiors? It was the challenge that the Porsche Design Studio has faced up to. 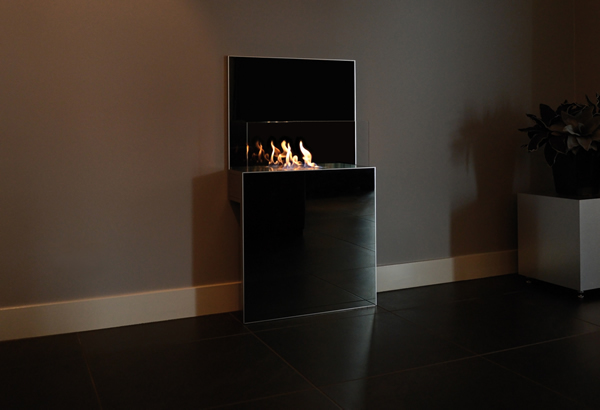 The bio fire Vertigo is an effect of the two-year works of the outstanding engineers from different countries. Completely made in the Netherlands, it’s the very first product having the innovatory and patented combustion technology, thanks to which the most modern standards of safety are fulfilled. 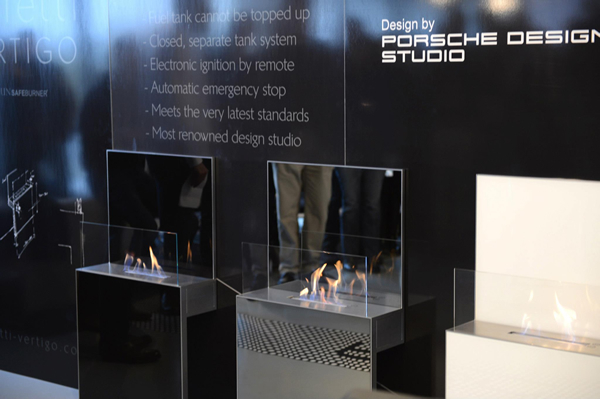 New combustion technology “LUN”, made by the specialists from the Porsche Design Studio, ensures simple and friendly use. 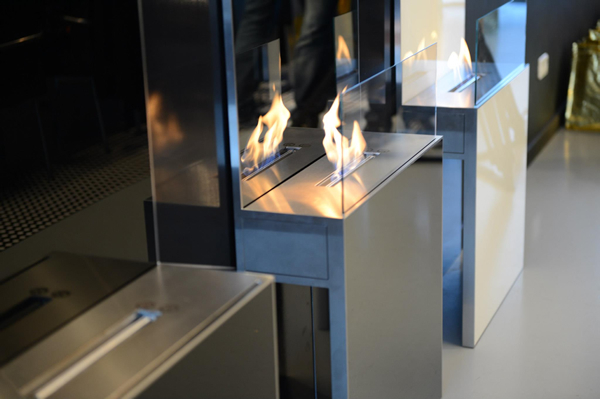 Bio fire has close, isolated bioethanol fuel, it combusts only bio ethanol, which should not be added to the heated burner. During this process any toxic gases are produced. In the case of failures, the system is analazing the resistance of the bio fire. With the electronic ignition by the remote control, the problem with the separate lighter is solved. The chimney-ventilation system is not required, the device can be installed on the wall in our flat, cellar or attics. Vertigo is perfect addendum for the modern interiors, especially during long, winter nights. 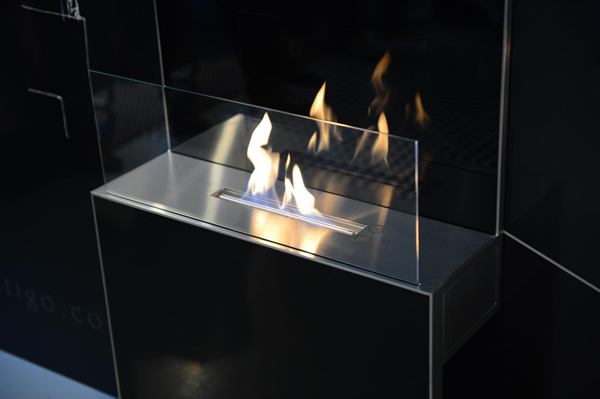 Thanks to simple, elegance shapes and material it is made of, this ecological fire is excellent for every interior, creating pleasant atmosphere and ensuring the contact with the living fire. 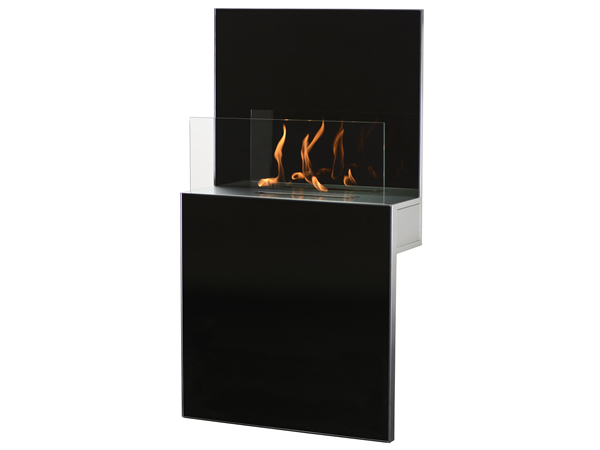 Bio fire Vertigo will be available from March 2013. The recommended price is about 3 795.00 Euro, including VAT.